Myrtle Beach Animal Pros offers complete wildlife removal and control solutions to Myrtle Beach area wide. Our humane and permanent solutions are why we are the best choice for homeowners, businesses, property managers, and government. Allow us to provide our expertise, knowledge, and experience to offer a permanent solution for wildlife problems, using proven techniques that are safe for your family, pets, home, or business. Animal Pros located in the Horry County is your best solution for your wildlife removal needs. With area wide service all around Myrtle Beach, we offer prompt same day service. Animal Pros specialists are multi state certified, fully licensed and insured, carry three times the amount of liability insurance, and carry workers compensation. Rest assured while on the job, our specialists are fully protected. Thousands of commercial and residential clients trust Animal Pros, so should you. Call us today, and allow our specialist to solve your wildlife problem. Our specialists ensure proper wildlife control, and pick up captured animals safely, and in a timely manner. Once all the animals have been removed, we can repair openings and clean up any damage left behind, to ensure animals do not return. Animal Pros offers wildlife services in Horry County, South Carolina. 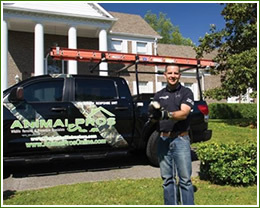 Myrtle Beach Animal Pro’s initial visit includes a visual inspection of your home or property to determine the animal causing the problem, as well as openings the animal may be using, attic, crawlspace or basement, sub floor, wiring, insulation, duct lines, and any other animal evidence. 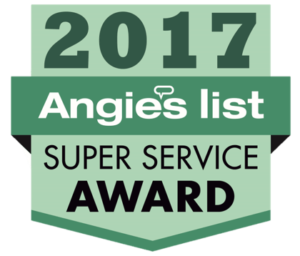 We provide a personalized inspection report detailing all our findings and recommendations, and affordable options for a permanent solution. Wildlife problems are increasing in residential neighborhoods from building and development into what was once wooded areas and has contributed human – wildlife conflicts. Animal Services in most cases has discontinued service for wildlife related calls due to government budget cuts. Wildlife assistance is available through private companies. Animal Pros offers safe, fast, and effective wildlife and animal control services. We are state certified and highly trained, and offer professional advice and wildlife support solutions to homeowners, businesses, and Municipalities. Keep trees and shrubs manicured and 4′ to 5′ from your roof. Ensure there are no openings top to bottom of your home. Keep yard debris to a minimum as it will attract wildlife. Secure openings around decks and sheds. If you notice activity, call a Animal Pros specialist. Problems can be avoided the earlier they are diagnosed.